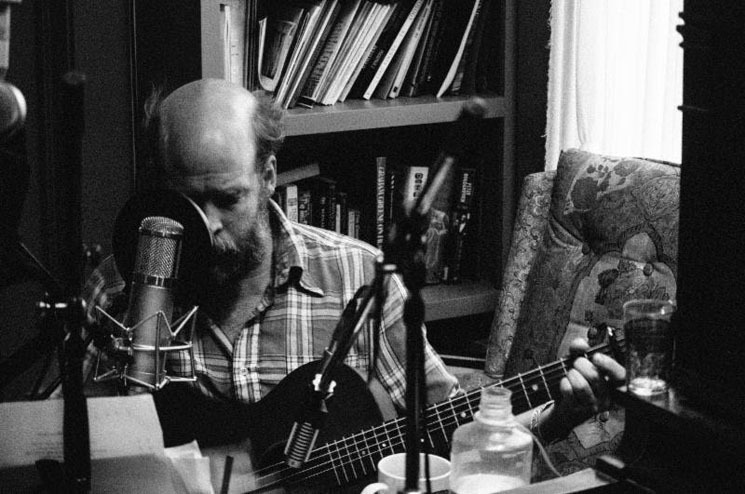 Throughout his illustrious run as one of the most prolific and singular artistic forces to have emerged in the past 25 years (as Bonnie 'Prince' Billy, Palace or his own name), Will Oldham has devoted some of his time to performing and recording songs that were composed by others, often delving into their inner workings to make them his own. That's one reason why he conceived of Best Troubador (out now on Drag City), a new collection of songs originally written and/or popularized by Merle Haggard. But beyond celebrating Haggard, Oldham says such albums are a way to make a point about the destructive impact of music streaming on the craft of songwriting and how it's perceived and received. "I think we need to do a little better job of tending to the music that's here for us now, particularly since the powers that be are being so disrespectful and irresponsible when it comes to taking care of our music," he says. "Making records like this is trying to make sense of the mess that these harsh and thoughtless money-mongers are creating of our musical heritage." Oldham knows that we live in an age where we're constantly encouraged to binge on whatever given product or album drop is before us and then quickly move on to the next thing. "Part of what I'm saying about making these records is encouraging people not to lose touch with certain significant things that have made this happen. So actively drawing lines and creating conduits from this time to previous times, in hopefully an affecting and vital way, and not in a nostalgic way at all." This doesn't mean that he doesn't experiment with modern promotion methods — he's just likely to scrutinize their efficacy afterwards. "National Public Radio put out a streaming version of Best Troubador and I agreed to that. As soon as it happened, I thought, 'Why did I agree to that?' It means that someone will be listening to it, necessarily, on a device, which I don't think is healthy for the listener or the music, to listen to it on your phone or your computer. "I don't like streaming music because I just think a music thing should be a music thing — a guitar should be a guitar, a radio should be a radio," he argues. "It's tax time right now, so someone could get the new Kendrick Lamar record, listen to it, but then also be communicating with their accountant about paying taxes — on the same device! "People will listen to part or all of it on a device, and then maybe they will feel like it's done. The record comes out Friday but by then, there will be other things that they need to turn their attention to because Netflix will release a new series that's important that you check in with and watch in the background or binge watch, or a hundred people will put out new records. And you'll feel like, 'Well, I've already done the Best Troubador thing, I can check that off my list.'" Oldham speaks with the concern of both a fan and a creator; the material conditions of music making impact him deeply. "On the barest bones level, I actually need someone to buy that record. It's not a gift to people, like, 'Here, listen to it for free and then I'll make another one.' No, if you listen to it for free, I can't make another one." Oldham's longtime label Drag City has been quietly pointed about resisting streaming services; beyond a recent arrangement with Bandcamp, where listeners are encouraged to eventually pay for music after a capped amount of free streaming, Drag City records are not available on streaming services like Apple Music or Spotify. "Literally every other day, someone will ask me why this music isn't on Spotify specifically," Oldham says. "And I know so many reasons why, but also at a certain point [I think], if all of these people are asking me, who am I making music for? Increasingly, I speak to people who don't own a CD player, don't own a cassette player, don't own a turntable, may not even own a radio. I want to make music for people to listen to. "Spotify is really horrible, but what's the choice here? Either just stop trying to make music or become resigned to the idea that this is not part of my audience; my audience is gonna be people who own CD players. That's totally fine because there are millions upon millions of people who own CD players — that a big enough audience for me. "You just have to work out how to find those people because, if they're supposedly out of touch with the zeitgeist, they may also not understand how to buy a record. They can maybe figure out Amazon or a thrift store, but somebody who listens to their CD player every day likely doesn't have a Spotify account, which probably means they may have a tenuous relationship with email or the internet. They could be old-fashioned by nature, or they may have made a conscious series of decisions not to opt in because, by making Spotify my exclusive music source, you're actually taking far more from me than you're giving. It looks like you're giving me the world but you're actually gutting my world."